MIDHANI Recruitment 2016: Mishra Dhatu Nigam Limited (MIDHANI has been published the advertisement to fill the 107 Jr Assistant, SOT (Senior Operative Trainee), JOT (Junior Operative Trainee) & Jr Assistant post. The interested candidates must read the MIDHANI recruitment notification 2016 before apply the application form. The aspirants who fulfill the eligibility criteria can apply the MIDHANI online application form 2016 on the official portal midhani.gov.in. Our Indrajobinfo.co.in site has provide the direct link for the MIDHANI advertisement 2016 application form. The date of online registration start from 25th June 2016. The applicants can apply the online application for the MIDHANI jobs 2016 on or before 29th July 2016. The applicant can apply the MIDHANI Operative Trainee recruitment 2016 by access the given link. The Mishra Dhatu Nigam Limited (MIDHANI) has been invites the application form from the eligible candidates. Further information like age limit, educational qualification, how to apply, pay scale, application fee and other details available here. The candidates who want get the latest jobs updates in India, then you must keep watch our Indrajobinfo.co.in site. You can also bookmarks our portal by pressing Ctrl+D. 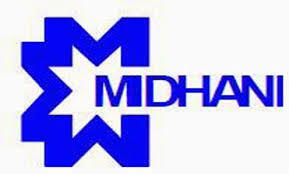 Company Name: Mishra Dhatu Nigam Limited (MIDHANI). Senior Operative Trainee (SOT): Pass the Diploma in Engineering in relevant field (Electrical/Mechanical/Civil/Metallurgy) with 60% marks and also two year of experience. Junior Operative Trainee (JOT): Complete the SSC/ITI and 7 years of experience. Jr Assistant: Possess the Degree with knowledge in computer operation and 2 years of experience. The candidates must complete the type writing in higher (English/Hindi). The candidates must refer the MIDHANI notification for age limit details because of different post required the various age limit. The applicants need to pay Rs. 100/- for the application fee through the online gateway method (net banking, credit card & debit card). The selection of the aspirants will be based on the following criteria. Go to the official site www.midhani.gov.in. If you eligible, click the online registration. Online application start date: 25th June 2016. Online registration end date; 29.07.2016. MIDHANI Recruitment 2016 Notification Download. MIDHANI SOT JOT Junior Assistant Apply Online 2016.